Develops and implements strategies specific to policy, operations, and reimbursement that impact the fiscal viability of members. The Committee continues to work on issues and develop strategies related to the Medicare Wage Index and Medical Assistance Modernization. Recent topics of discussion have included uncompensated care, rate transparency, budgeting, sequestration and its effects, Arbitration, Medicare MCOs, Medical Assitance MCOs, revenue cycle opportunities, and payor behavior. The Chief Financial Officers Committee continues to work on Medicare Wage Index improvement strategies, including expanding the wage index scrubbing initiative to include Pittsburgh, Johnstown and PA Statewide Rural improvement projects, as well as completing an Occupational Mix project which have returned over $55 million in revenue to western Pennsylvania hospitals since FY 2009. 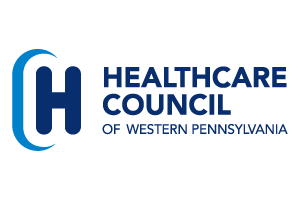 Through this forum, HCWP, along with its members, has developed additional strategies for the improvement of reimbursement from PA Medical Assistance. In addition, this Committee reviews opportunities for participation in National Level appeals of Medicare issues. The Committee also discusses Payor related issues and impacts related to healthcare reform, including Health Insurance Exchange products and Medicaid expansion.